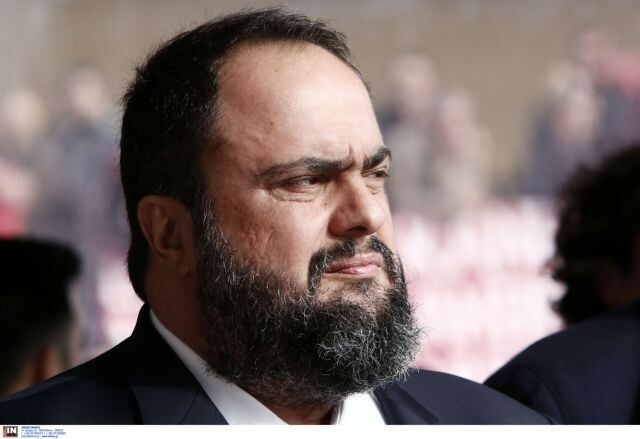 Shipowner Evangelos Marinakis has issued a statement regarding the slanderous assertions of government spokesman Dimitris Tzanakopoulos at an extraordinary briefing of political correspondents in Athens. In his statement, the shipowner responded to the allegations against him unleashed by the government spokesman, and cites the deceitful actions of the Prime Minister’s office, masterminded by the Prime Minister himself. Marinakis says that the government will be forced to give an accounting before the judiciary, both in Greece and before the European Court of Human Rights, in order to restore the truth and legality. “I have until now avoided taking a public stance on the miserable allegations that various parties have unleashed against me, even though many had asked me to do so. I am forced to do so today, because the Prime Minister and government spokesman have exceeded every limit of lying and slander. Indeed, Mr. Tzanakopoulos, Greece will not become another Colombia, because you are attempting to make it worse that Colombia and Venezuela combined. The personal attack against me obviously is an attempt to make up for the government’s absolute inability to speak politically, by resorting to defamation and slander. That you make charges regarding “a gangster-like impunity, smugness, and an arrogance that offends democracy”, and other much worse, describes and depicts precisely your behavior and that of the government which you represent, at my expense. Your devious actions and statements are imbued with a specific motivation. That is to convince public opinion that Marinakis is funding New Democracy with money of dubious provenance, and in this manner to call elections. This is the reason that you constantly intervene in the judiciary, announce prosecutions in advance, and cite manufactured testimony, with one aim: to declare guilty an innocent man, and along with him the opposition party, in order to remain in power and cling to your posts. You should be certain, however, about one thing. The Greek people have understood your fraudulent intentions. I state categorically that I have no connection with New Democracy and its leader, Kyriakos Mitsotakis, but I have assisted your government, and in that context I have met many times with Mr. Tsipras at the prime minister’s office. Your need to hide behind Non-papers, the production of which you unwittingly and cynically admitted, reveals the deceitfulness of your methodology, and highlights the dark logic of the system of power that you serve. You tried to hide, because you knew you were slandering. Consequently, Mr. Government Spokesman, I had every right to request the revelation of the timid, hiding author of your announcements, which are pitiful and completely violate my presumptive and actual innocence. You confessed this violation completely and unabashedly. You, Mr. Government Spokesman, just as the Prime Minister and other Ministers, hastened to jump the gun and dictate the decision of the judiciary. As regards the mastermind of the miserable slander against me, who glaringly ignores the presumption of innocence and announces unabashedly in advance judicial developments – you yourself revealed him. You said that the final responsibility for every statement coming out of the Prime Minister’s office belongs exclusively to Mr. Tsipras. There could be no more glaring, raw, and immediate revelation of the plot against me than this public confession. I spoke to you extremely frankly during our telephone contact on Saturday, 28 April, at 22:27, identifying myself by name, so as to request what was necessary in order for me to exercise my fundamental right to defend my honour and reputation, and to protect my human dignity, as befits the rule of law, which you unfortunately are trying to abolish. The road to the Judiciary, which you say you will follow, is open, although you have proven beyond doubt with your interventions that you do not respect it.